Jonathan Drori is a Trustee of The Woodland Trust and The Eden Project, an Ambassador for the WWF and was for nine years a Trustee of the Royal Botanic Gardens, Kew. He is a Fellow of the Linnean Society and the Zoological Society of London, and a Member of the Institution of Engineering and Technology. In 2006 he was made CBE. A most idiosyncratic expedition around the world - memorably revelatory. As anyone who has been in love knows, we may all be special, but for each of us there is a special kind of special. Around The World in 80 Trees offers that special kind of special. 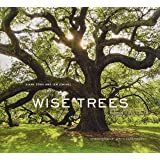 It can be felt in the love the author, Jonathan Drori, has for his subject and, for those who share his affection for trees, a special kind of special between the reader and fruits of Drori's droll writing. Spread out over 227 beautifully illustrated pages, Drori gives a brief historic and biological overview of each tree -- enough to pique curiosity and interest, but not enough to either incite boredom for those only casually interested in the subject, or provide in-depth detail for those looking for a deeper understanding of dendrology. For the latter, Drori helpfully provides a "Where to go next" reference section at the end, which I found to be an unexpected surprise. A quick comment on style. Anyone familiar with British comedy will recognize that culture's distinctly bemused tone in Drori's writing. From American authors this tone often comes across as forced, but from the delightfully British Drori it adds an element of levity and readability to a subject that might otherwise feel wooden, pun intended. 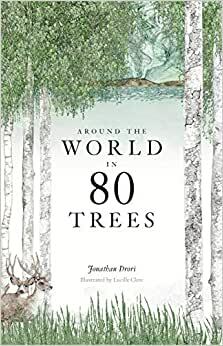 Around The World in 80 Trees is definitely a niche book, and as such I suspect it will have a limited audience. But if you fall within that audience, it is a rare discovery and a uniquely satisfying treat -- a special kind of special. I reviewed this book for a professional organization’s newsletter. From reading about it on the suthor’s linkedin site to getting the book so soon after publishing, I was thrilled to see it, read it and review it. It’s unlike any other tree book out there-you’ll love the quirky stories about each tree the author chose. The book arrived appropriately packaged and as quickly as promised. Thank you! When reading this book and you reach page 144, pages 131-144 repeat, and pages 145-160 are missing. So when you pay for a book entitled "Around the World in 80 Trees" you really are only getting a book about 75 trees. Sadly, from prior experience, the entire edition is usually effected. I can't blame the author, and what is there has great illustrations, but I'm completely unimpressed with Laurence King Publishing. This isn't a cheap paperback either. This is a really great book. I learned a lot, and I remembered a lot from my childhood. It would make a great gift. Gave this as a Christmas gift to a friend who loves trees, like I do. He is very pleased with it. He said it’s a beautiful book and the drawings are well done.